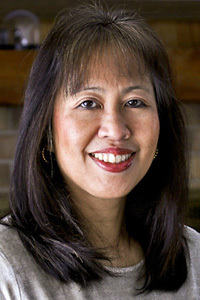 Almost everyone of us have a few fallback dishes that we turn to time and time again. These are quick and easy recipes that can be prepared in a very short amount of time using pantry, fridge, or freezer staples. I always try to stock up on a variety of ingredients for that purpose because life gets busy and take-out is not always a good option. Whenever salmon goes on sale at the grocery store, I will buy a couple of pieces for the freezer. They thaw easily and cook even faster under the broiler. If I am in a real hurry, I submerge the entire frozen package in some water at the sink. While it is thawing, I prepare the rest of the meal and come back to it once it is ready. Salmon only takes about 6 to 10 minutes to cook, depending on its thickness. 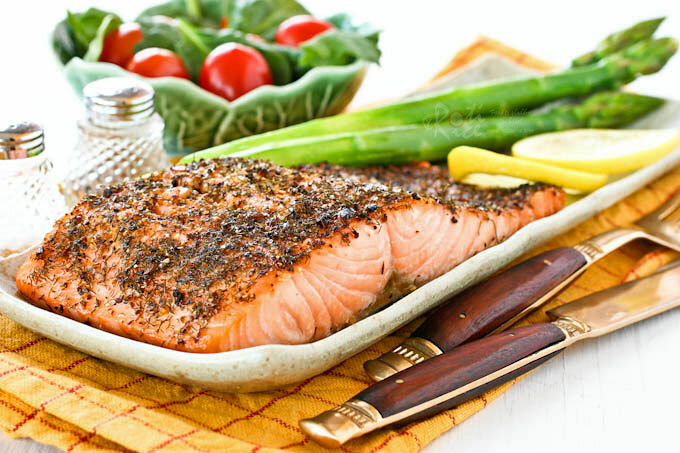 I have cooked this Lemon Pepper Dill Salmon so many times I can almost do it in my sleep. I usually broil the fish in my little toaster oven because it cooks so easily and quickly. This is especially helpful in the summer as there is no need to heat up the kitchen unnecessarily with the huge oven. Rinse salmon fillet and pat dry with paper towels. Place a small piece of parchment paper on a baking tray. Place salmon on the parchment paper. 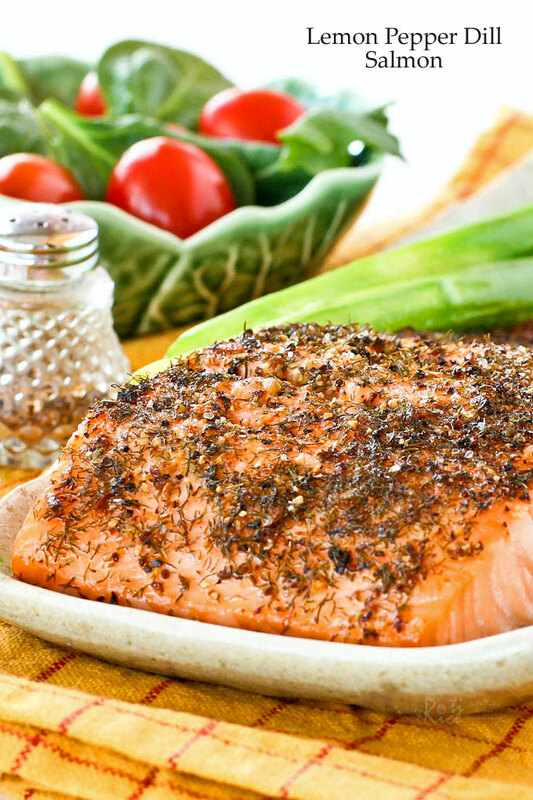 Sprinkle lemon pepper, dill weed, and salt evenly over salmon. Let it sit for 10 minutes. Drizzle olive oil over fish. 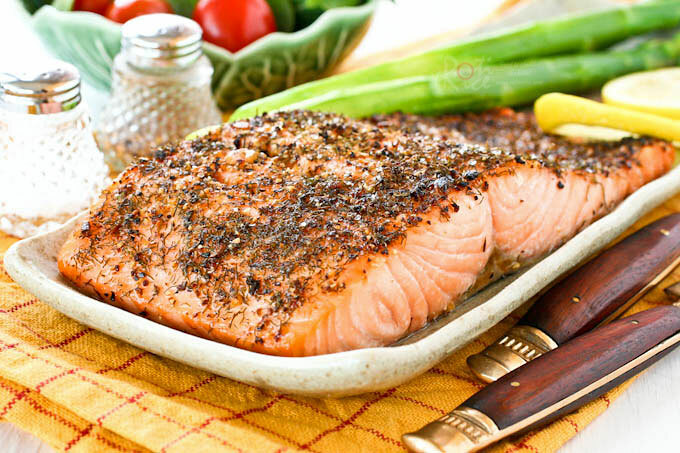 Place in the oven and broil for 6 to 8 minutes if fish is ½ inch thick or about 10 minutes if fish is 1 inch thick. I like serving Lemon Pepper Dill Salmon with rice, stir-fry vegetables, and a bowl of miso soup. It is also tasty served with mashed potatoes and a salad. Looks really good. We enjoy eating salmon very much, any way it is cooked. Salmon is so versatile and easy to make a fast meal out of it. Our local supermarket is having a sale on whole salmon – £5 per kg, really good value. Btw, tried the korma chicken with cashew nuts – delicious! Kids loved it! Wow…that’s a really good price for salmon! Great for making these tofu fish balls as well.